Battery Park City Block Party: Pet Parade! If cupcakes alone were not enough to convince you to join the block party, perhaps a pet parade might have you lapping it up? 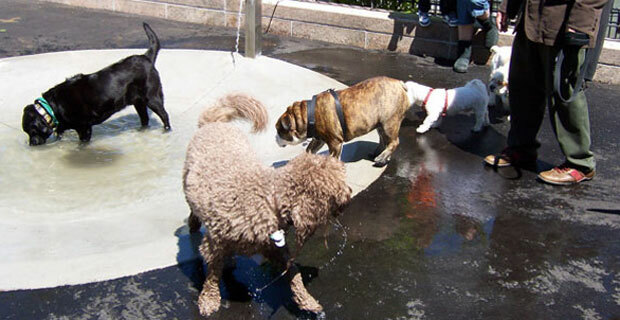 According to the BPC Dogs Group in our area, residents are invited to join the annualÂ BPC Block Party PET PARADE!! Once again, BPC Dogs will co-host theannual BPC Pet Parade with Bobby of Le Pet Spa. There will also be many other pet-related activities at the Block Party, including information tables for the CERT Animal Search and Rescue team, a sign-up sheet to become members of the BPC Dog Association, and information about a proposal for official off-leash hours in Historic Battery Park. The fun starts with the Pet Parade in front of the main Block Party stage on the Esplanade Plaza (aka the volleyball court). Please line up with your pet at 12:10 pm, for a parade starting at 12:20 pm. ALL pet owners (of dogs, cats, birds, hamsters, rats, lizards, etc.) should be near the stage by 12:10 pm at the latest.